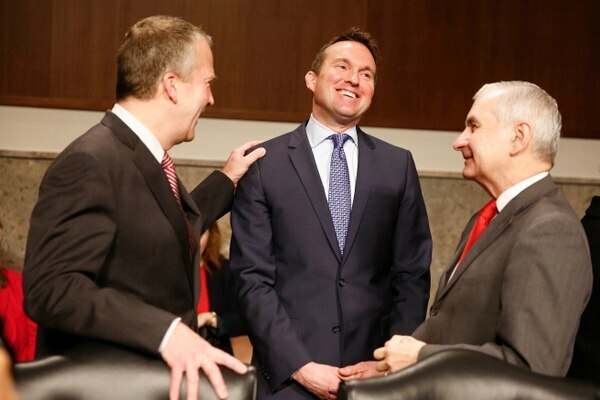 After a smooth and overall positive hearing before the Senate Armed Services Committee, Eric Fanning's confirmation to be the next Army secretary still is not guaranteed. Sen. Pat Roberts, R-Kan., is standing firm on a hold he placed last fall on Fanning’s nomination. Roberts placed a similar hold on former Army Secretary John McHugh’s nomination in 2009 when he learned that Fort Leavenworth, home to the U.S. Disciplinary Barracks, in Kansas was being studied as a potential site for relocating prisoners if the facility in Guantanamo Bay, Cuba, is closed. 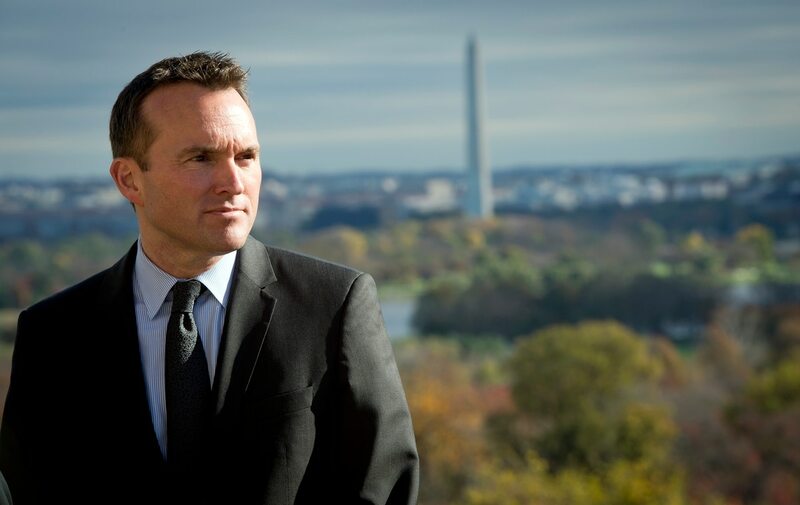 "The senator's hold on Eric Fanning is not personal," Katherine Knight, a spokeswoman for Roberts, said in a statement to Army Times. "The senator has asked the administration to provide a guarantee that detainees will not wind up in Kansas, as he was able to do when this issue first arose in 2009." The senator's request has been "articulated" to McHugh while he was still in the job, those working on the plan to close Guantanamo, and Defense Secretary Ash Carter "on several occasions," Knight said. "He remains committed to stopping the president from moving a single detainee to the U.S. and will continue to use all legislative tools at his disposal to do so," she said in the statement. Closing the detention facility at Guantanamo Bay, something President Obama promised to do when he was elected, has been a controversial issue. Much of the long-stalled effort has centered on the administration's push to convince staunch opponents in Congress that dangerous detainees who can't be transferred safely to other countries should be housed in a U.S.-based prison, The Associated Press reported. Among the facilities that have been studied are the Army prison at Fort Leavenworth, the Centennial Correctional Facility in Colorado, and the Consolidated Naval Brig in South Carolina, according to AP. As of last week, 92 detainees remained at Guantanamo Bay, according to the Defense Department. Fanning was nominated in September for the Army’s top civilian job to succeed McHugh, who retired Nov. 1 after more than six years in the position. At the time of his nomination, Fanning had been was serving as the acting under secretary of the Army since June. Eric Fanning speaks with Sen. Dan Sullivan, R-Alaska, and ranking member Sen. Jack Reed, D-R.I., on Jan. 21, 2016, before his confirmation hearing in front of the Senate Armed Services Committee. Fanning was named the acting Army secretary after McHugh retired. Earlier this month, Fanning stepped down from that position while he waited for his confirmation hearing. The move took place after members of the Senate Armed Services Committee expressed "some concerns" about Fanning being slotted into the acting position. "While the administration believes the designation of Fanning as acting secretary of the Army is consistent with the Vacancies Act, as a show of comity to address these concerns, Fanning has agreed to step out of his acting role to focus on achieving confirmation in the near future," Pentagon Press Secretary Peter Cook said in a statement at the time. "We expect this move to be of a short duration and for Fanning to achieve speedy confirmation. He remains one of the most qualified nominees to be a service secretary, having served in many senior executive positions in each of the three military departments and as chief of staff of the [defense] department." Fanning's confirmation hearing took place less than two weeks later. Army Under Secretary Patrick Murphy, who was sworn in Jan. 5, has been serving as acting secretary. Formerly one of Carter's closest advisers, Fanning is widely viewed as one of the most capable leaders in the Pentagon. He has served as the undersecretary and later the acting secretary of the Air Force. Before that, he was deputy undersecretary of the Navy and its deputy chief management officer. In addition to his long résumé, Fanning would mark a milestone if he does become the Army secretary, as the first openly gay secretary of a military service. If confirmed, Fanning will lead the Army during a critical transition period that includes key leadership changes at the top, continuing budget constraints, and growing demands for troops around the world. During a breakfast meeting last Thursday, retired Gen. Gordon Sullivan, president of the Association of the United States Army, called for a quick confirmation for Fanning. When asked about Fanning during the same event, Army Chief of Staff Gen. Mark Milley called Fanning an effective leader and "great professional" who is "articulate" and "intelligent." "I think very highly of him," Milley said.